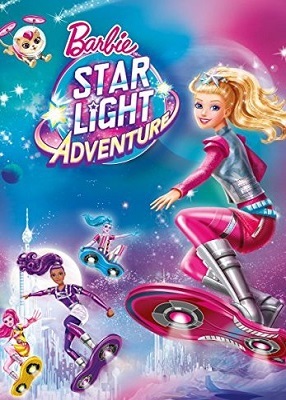 Barbie is now a beautiful space princess flying high in her hoverboard through the universe always accompanied by her adorable and faithful companion, her pet Pupcorn. Barbie is as usual, sharing her life with her friends when one day everything changes; the twinkling stars in the sky, the same stars that both delight Barbie, begin to darken and beautiful light goes out gradually in heaven; all starts when far, far away from Earth in another galaxy, our darling doll adventures, live a beautiful life with her widowed father and her beloved pet, Pupcorn. 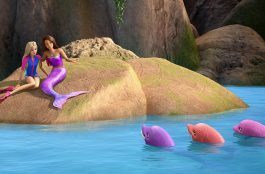 Barbie is a champion of the hoverboard, and is endowed with the gift of communication with the creatures of the planet (sympathetic and strange animals) and spends her days in a magical world full of quiet beauty. On the capital planet of the galaxy, however, a legendary prophecy is about to come true: it has been said that one day the stars that illuminate the world and maintain harmony for all who live the galaxy, will dull, finally, disappear, and then the galaxy will plunge into darkness; only a special person, with the heart of a leader, be able to restore the stars. As the stars begin to fade and outer space begins to get in trouble, King Constantine tries again and again the stars return to glory, using gas; without obtaining good results, as a last hope, King Constantine convened a group of volunteers to help. Barbie is one of those volunteers who have been chosen for their skills with the hoverboard! 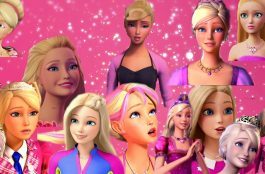 Along with Sal-Lee, Prince Leo, and some eager allies, Barbie, uses the memory of her deceased mother, to have courage, uses her wisdom, her desire to make a difference, and their special talents to guide the way and try to make the bright sky again, as used to be with the stars. This group of talented new friends work together to save the galaxy through exciting adventures in their hoverboards. They will have to free yourself from many dangers, the same by which Barbie will get ahead. 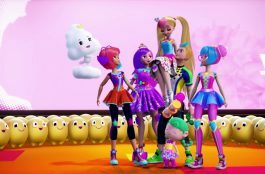 Barbie soon discovers that if she listens to her heart and with the help of her friends, she could be the leader that the whole universe has been waiting for! And with that memory to devote her mother who is no longer with her, so it goes with everything to fulfill its mission. It will be a complicated and filled with many adventures that the girl did not expect mission, but she knows she has in her hands an important mission and her friends will not let her alone! 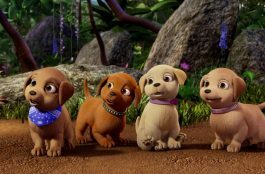 The group discovers what that should do to get back to life the stars and takes a lot of effort and coordination team, to achieve restore harmony of your planet, and recognizing Barbie to be special with the heart of a leader the planet needs. You can’t miss this new film of Barbie, it is truly one of the most anticipated this year and believe it is one that you should not miss.